As Promised here is our toddler book edition of What We Are Reading this month. If you missed yesterdays post on What We're Reading you can read all about our change to novels at bedtime with our first novel The Witches by Roald Dahl. We have also had a new piece of furniture added to D and Uncle L's room for all the books they own between them but mostly for D's books as he does own a lot of them, we made this between myself and D's Uncle! You can read all about our New Bookcase by clicking the link. 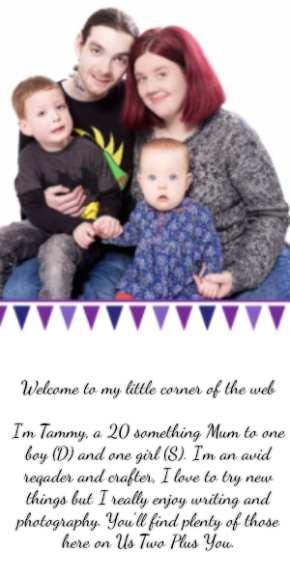 Now on with our toddler edition of the month. This month we have had a bit of diversity in our picture books. I must say this is a welcome change from our normal same book being read over and over each day then 5-6 books at night! There has been one book that D has wanted to read a few times over the month which is Pirate Pete and His Parrot written by Jenny Woods and illustrated by Richard Watson. 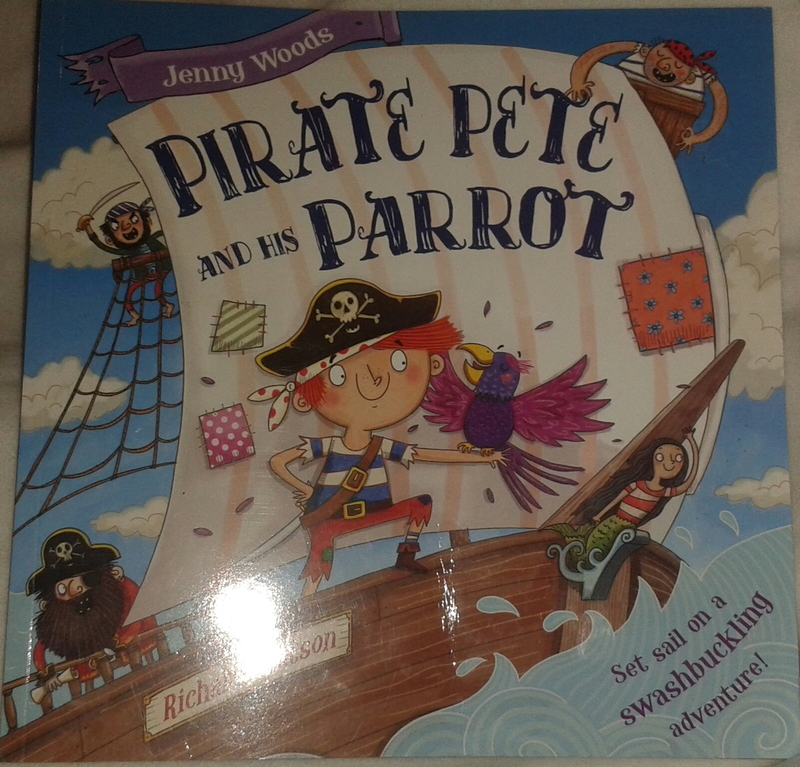 Pirate Pete and His Parrot by Jenny Woods is about a pirate called Pete who is forever getting into trouble any time something on his ship goes wrong. His captain is usually the one everything happens to so this is very bad! Pirate Pete's Parrot is the reason for him always getting the blame as the only thing his parrot can say is "He did it!". This clever little parrot has the best timing when it comes to his only known words and leads to some disastrous situations. Pirate Pete plays pretend with the captain's hat when they are getting boarded by some nasty pirates! Pirate Pete's Parrot might just save the day! 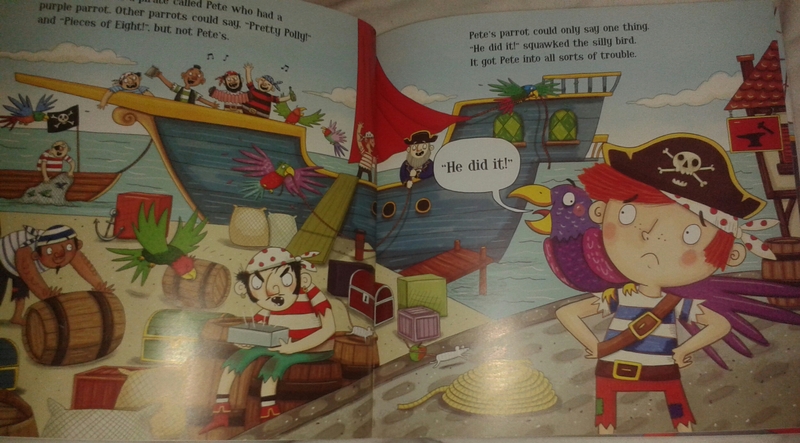 D has been really enjoying reading Pirate Pete and His Parrot as D loves anything to do with pirates and their antics and their certainly are pirate antics in the book! D has been much more engaged with this book than with some of the others we have read and even told me he liked this book with a great big resounding "YES!" I have to say I am very impressed by the illustrator Richard Watson's work, the pictures in the book are beautiful. They are so colourful and are incredibly descriptive, much more so than other books we have been reading. There is an attention to detail that you simply don't see all that often in books written for young children and toddlers. This mixed with the bright colours, wonderful characters and story really makes this an enjoyable book to read and look at with your child. The story itself is what really captured D, it is exciting, funny and everything a pirate story should be. There is a fantastic use of descriptive words with a lot of them relating to feelings and this paired with the descriptive pictures is a good way to introduce children to the words they can use to describe how they are feeling. This is something we have been trying to teach D but it can be hard to teach a toddler more than happy, sad, angry and sore in everyday life as being angry or scared is not really something we tend to show our children in daily life or at least we all try not to let them see these feelings. The story is both simple and engaging at the same time. This one is a little long and would be better suited for toddlers of D's age rather than a younger child of 1 - just over 2 years old as their attention span is shorter. Each page has 2 - 4 good sized sentances on and there are plenty of things on each page for D to find relating to the words I am reading. D really engaged with the parrot in the story and loved saying "He did it!" along with the parrot. Pirate Pete and His Parrot is a very good book for any lover of pirates, adventures, sailors or those who like books about getting in trouble. You can purchase Pirate Pete and His Parrot by Jenny Woods on The Works website by clicking the link. The book costs £1.99. You may also find this book in some book shops. Don't forget to check out some of our other favourite books by clicking on the What We're Reading badge below!